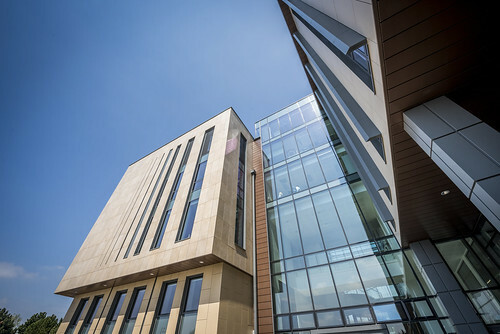 An opportunity for PGR students to hear about the University’s plans for a Doctoral College, and to help shape the future of PGR support at Bath. The University is committed to ensuring that it’s a great place to be a doctoral student. That includes making sure that the arrangements in place are as good as they can be. To support this we are looking to develop an over-arching structure for doctoral provision: a Doctoral College. Its creation has the potential to impact on how all Postgraduate Research Students (PGRs) are supported. We want to promote a postgraduate community and improve access to resources. We hope to promote a collective voice and identity on campus for all postgraduate research students. There are many models for doctoral colleges in the sector. As a current student, your views will be immensely valuable in helping us to shape a Doctoral College that is right for Bath. We are now opening a dialogue with our doctoral student community about the changes that we are considering. Please come along to share some lunchtime refreshments in the new graduate facility in 10 West. This is your chance to hear more about the University’s ideas and to give your initial input around the idea of a Doctoral College. Planning is still at an early stage so this is a real opportunity for you to help shape the future of PGR support at Bath. The key themes for the event will be to explore how the University could improve community, induction, skills provision and support for PGR students. We also welcome any other ideas and thoughts about how we might improve the research student experience. The event is a joint initiative with the Students’ Union PostGraduate Association. If you are unable to be there on the day, email any questions or comments in advance to Val Skinner. You can also tweet using the hashtag #DoctoralFuture.